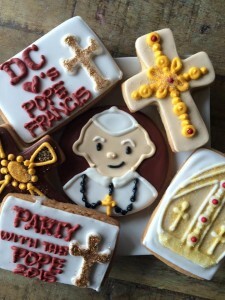 Pope takes DC by storm! The traffic gridlock we expected never materialized, but the visit by Pope Francis generated a lot of excitement in our area. Customers loved Dawn’s cookies made for the occasion. 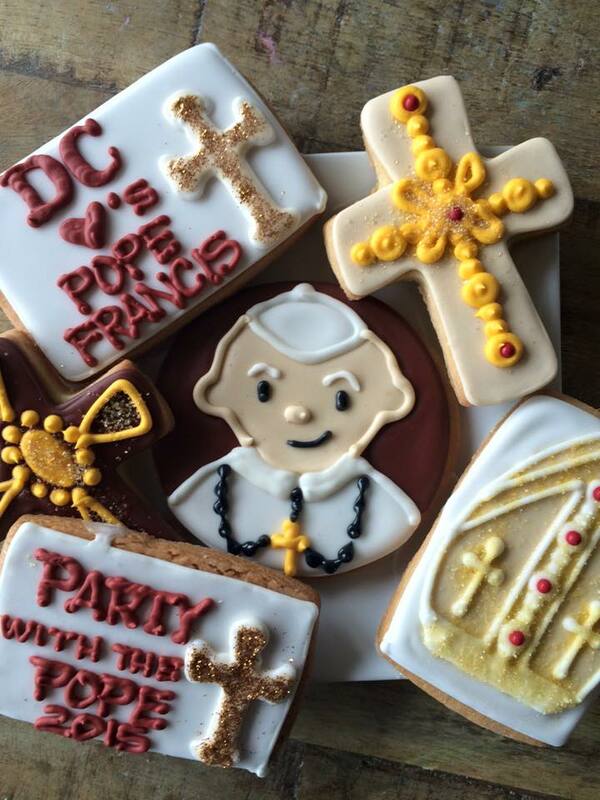 If you have an idea for a fun cookie to celebrate a special occasion, let us know. Maybe we’ll feature it in the shop!